I got my new license plates. They are the "Share The Road" specialty plates - available in Texas. 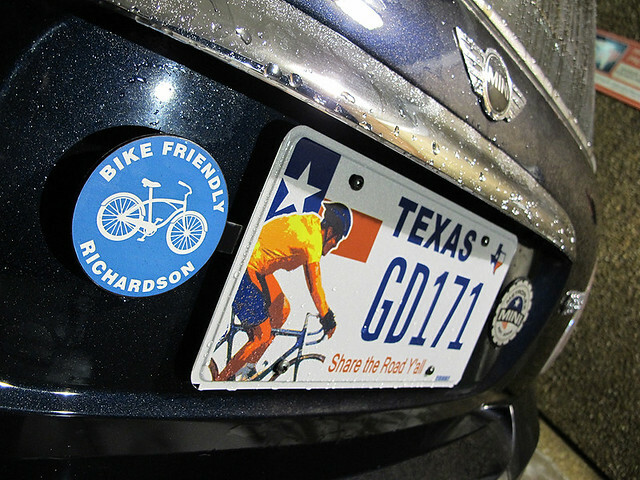 From the specialty plate fee, $22 goes to the Texas Education Agency for the Share the Road Program to support activities that promote bicyclist safety, education and access through education and awareness programs, training, workshops, educational materials and media events.